In 2011, Honduras declared the creation of a shark sanctuary encompassing all its waters. A 2016 decree allows for the sale of sharks caught incidentally, but in the absence of monitoring and inspection, hundreds of sharks are still being caught daily during certain seasons to supply an Easter-time demand for dried fish. Mongabay spoke with marine biologist and conservationist Gabriela Ochoa, who studies Honduras’s ongoing shark fishery, about the trade. In 2011, the government of Honduras declared the country’s waters a shark sanctuary. The move obliged indigenous peoples who have been catching sharks for generations and for whom the fish represent an important source of income to stop their shark fishing. Five years later, in 2016, a decree allowed for a modification to the law stipulating that sharks caught incidentally could legally be sold. 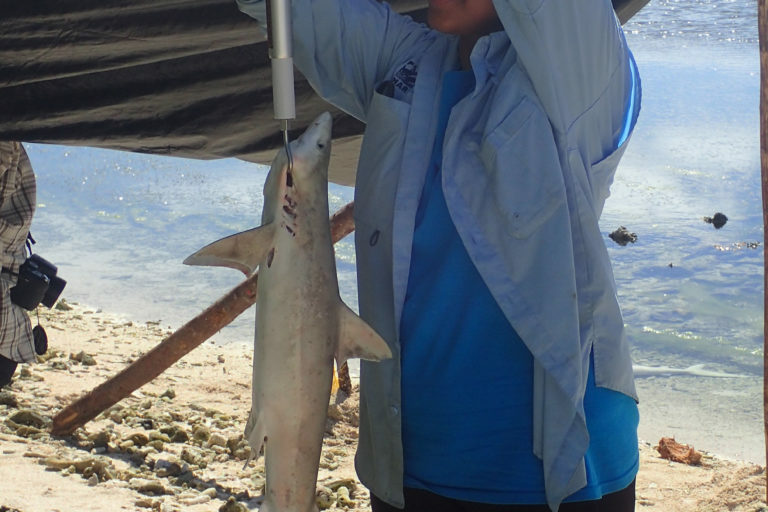 Marine biologist Gabriela Ochoa, a specialist in conservation and biodiversity and the coordinator in Honduras for the Belize-based marine conservation organization MarAlliance, is carrying out research to understand the impacts of shark fishing in Honduras’s La Mosquitia region. 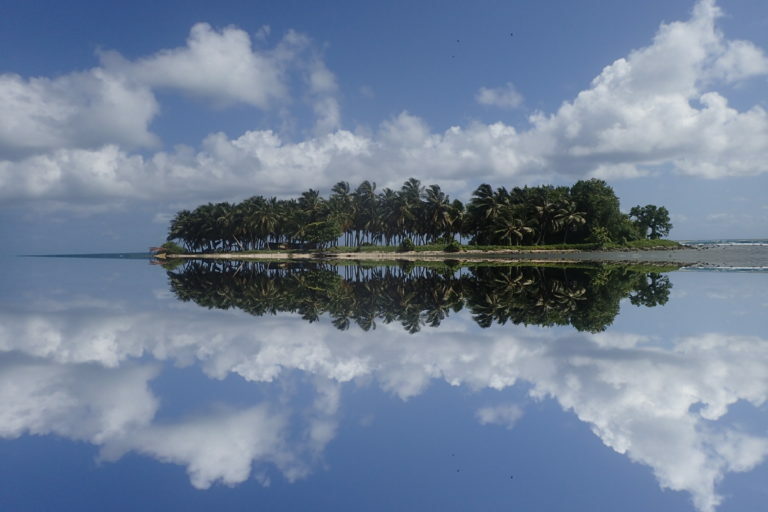 This remote part of the country’s Atlantic coastline is where the majority of the indigenous population lives, principally the Garifuna and Miskitos. Here, Ochoa says, shark fishing is far from incidental. In the months leading up to the Easter holidays, when a soup of dried fish is traditional fare, up to 100 sharks are caught daily per boat, even though these waters are, in theory, a sanctuary for the animals. Mongabay: Did shark fishing continue after the declaration of the sanctuary? Gabriela Ochoa: The decree that declared Honduran waters a sanctuary was passed in 2011 and involved no prior consultation. The fishermen were not asked about anything. No socio-economic study was carried out to see how many people depended on this kind of fishing. 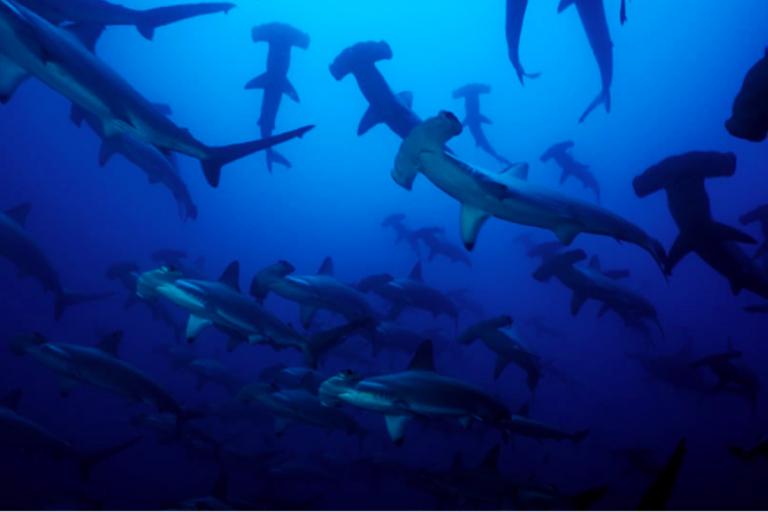 The entire marine area belonging to Honduras was simply declared a shark sanctuary. According to the fishermen, some of them went out to fish at this time and many had their equipment confiscated: motor, boats, nets and catch. Later, changes were made to the legislation establishing that incidental catches could be commercialized, thus allowing people to have an income. Unfortunately, however, the law does not define what incidental fishing is. Neither has the fishing department [within DIGEPESCA, Honduras’s fisheries agency] established a monitoring program to inspect incidental catches, which are never reported. Miskito Cays in La Mosquitia region of Honduras. Image courtesy of MarAlliance. Since the decree was passed in 2016, have you seen an increase in the capture of sharks? We have worked closely with artisanal fishermen and met with the territorial council, as this part of La Mosquitia region has a degree of indigenous autonomy. The council allowed us to go with an artisanal vessel to watch them fishing and we saw that they were using nets with bait, so it’s clearly intentional. It’s not incidental. How do you know that the intention is to catch sharks rather than other species? To begin with, most of the species caught this season were sharks. Furthermore, the only reason they’re using bait in the nets is to attract sharks. What shark species do they catch? They prefer big sharks like hammerheads, but most of the sharks are small, less than a meter [3 feet] in length. Are the sharks just small species, or are they juveniles? They’re generally just small. But we’ve also seen catches including juvenile sharks that could grow to be much bigger, like tiger sharks, reef sharks and blacktips. But in most cases they’re species that don’t get much bigger than 1.2 meters [4 feet] when fully grown. Scalloped hammerhead sharks (Sphyrna lewini). Image courtesy of Fundación Malpelo. The fishermen bring in about 100 sharks a day. Yes, it’s a lot. It’s because they’re using nets that they catch so many. Has a fishing quota been established? No. 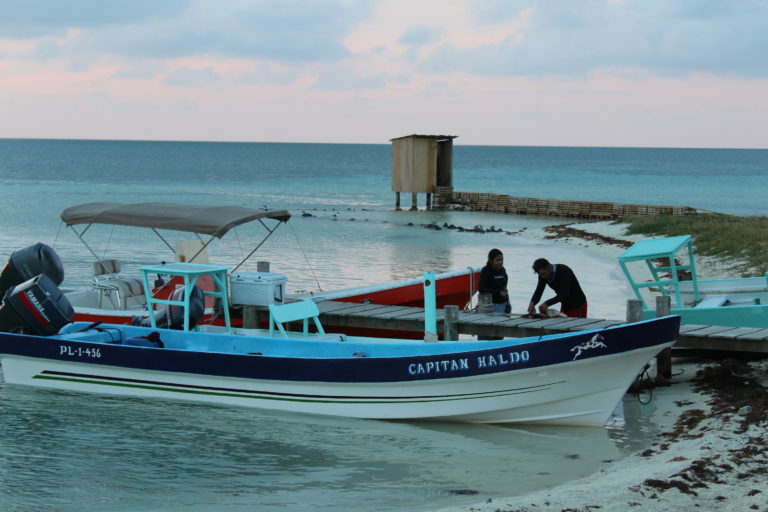 The decree says that established sanctions will be imposed on those who don’t comply with the law and that the fisheries agency will establish a way of monitoring this. But the monitoring has not been implemented. There aren’t any controls in place? Not at the moment. There are no quotas; there aren’t any inspectors; there’s nothing. In theory, the authorities have expressed their intention to carry out monitoring, but in practice we haven’t seen them doing it and the legislation is now two years old. In April we went to several of the Miskito Cays and installed video cameras. We saw that this area of the country, compared with others, has high numbers of sharks. It’s a very productive area. I imagine it could have something to do with it’s being such a remote location. Miskito Cays in La Mosquitiaregion of Honduras. Image courtesy of MarAlliance. What do the fishermen who don’t belong to an indigenous group do if they catch a shark incidentally? Do they throw it back into the sea? We carried out a series of surveys of fishermen on the Atlantic coast and those not from La Mosquitiaregion responded that if they catch a shark, they either throw it back or keep it for their own consumption. They don’t sell it. This is what they say, but we haven’t been able to confirm that this is the case. We’re talking about the departments of Cortés, Atlántida and Colón. How are the sharks caught in La Mosquitia region commercialized? People catch them because in Easter week, during Lent, it’s traditional in Honduras to eat soup made from dried fish. The sharks are skinned, cut into pieces, salted and dried in the sun. This is what’s used to make the soup. People like a product called cecinabecause it doesn’t have any bones. This is because it’s made from shark, and sharks have cartilage skeletons. Fishermen go out fishing for a month, then they return to the coast and the fish is taken to San Pedro Sula or Tegucigalpa, but consumers don’t know that it’s shark meat. They know that it’s a product called cecina, but they think it’s a fish fillet. This kind of fishing is seasonal, it doesn’t take place all year. It begins in January and ends at the beginning of March. It varies depending on when Easter falls. So, it’s really very specific to Easter. And everything that’s caught is used to make cecina? Salted and dried shark meat known as cecina. Image courtesy of MarAlliance. So, it’s all part of a local market. Yes, but it also gets transported to other countries in Central America. Are there records of this regional commercialization of shark meat? No. We’ve searched in customs and haven’t yet found any records. What’s more, if it’s transported as cecina, it’s unlikely that people will be able to identify whether it’s shark meat or not. You can’t tell just by looking at it. These products are transported in taxis and on small boats. Finally, there are free-trade agreements in the region that favor not keeping records of the sale of these products. So, there’s no regulation or control of the commercialization of shark meat? Definitely, this kind of fishing goes unreported. A shark caught by fishermen in La Mosquitia region of Honduras. Image courtesy of MarAlliance. A shark caught by fishermen in La Mosquitiaregion of Honduras. Image courtesy of MarAlliance. Could artisanal fishing be a threat to these species? We began working in La Mosquitiaregion in 2016 and we still need more time to be able to tell whether or not it’s a threat. We don’t know how many vessels there are in total, so we don’t know how many sharks are being caught. We have a lot of work to do and we are the only ones working in the Miskito Cays. Don’t the authorities have records of how many vessels there are? We contacted the Merchant Marine, which is the body that gives the vessels permission to go out. We thought they would be able to give us this data, but the problem is that they don’t have it all gathered together in one place. The solution is to create alternative jobs for fishermen. You can’t just say “stop catching sharks now.” It’s hard to explain to fishermen that this kind of fishing is wrong or that they shouldn’t do it, because it’s one of the poorest areas in the country. They’ve got to eat and they’ve got to make money. In this area people don’t have access to health care or highways. All transport must be via airplane. It’s a very remote part of the country. How do they transport the product? In cargo ships or in small boats, to places with road access where the product can then be transported overland. 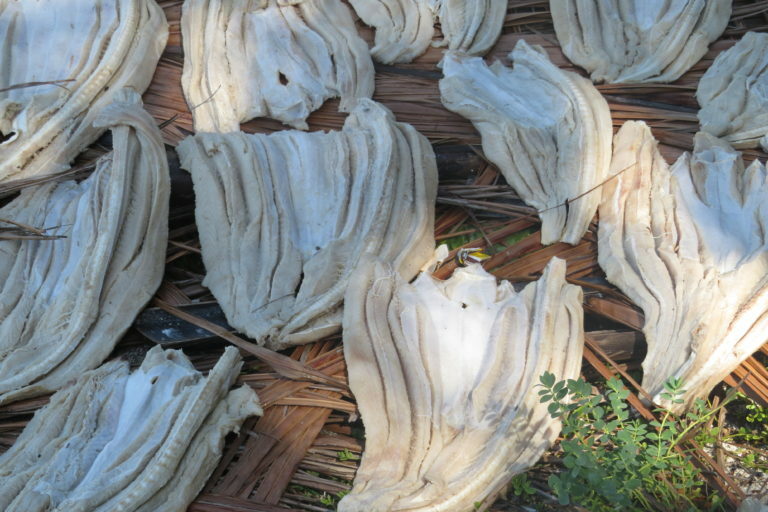 Banner image: Salted shark meat, called cecina, drying in the sun. Image courtesy of MarAlliance. 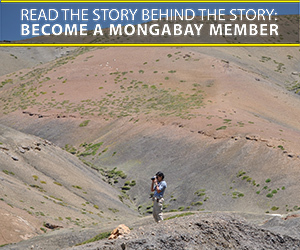 This article was first published by Mongabay Latam. Edits by Rebecca Kessler.